As people are cleaning up their homes and Marie Kondo-ing their lives, don’t forget about another important space that might need some attention: your work space. Your messy desk may be affecting your productivity—the Journal of Consumer Research found people with messy desks are more frustrated, less efficient, and less persistent in the face of challenging situations. Additionally, studies have shown people waste 4.3 hours per week searching for paper and other missing information. Those interruptions add up to a lot of wasted time: it takes 23 minutes and 15 seconds to return to work when you’re interrupted from your task. Aside from lost productivity, your workspace says a lot about you. 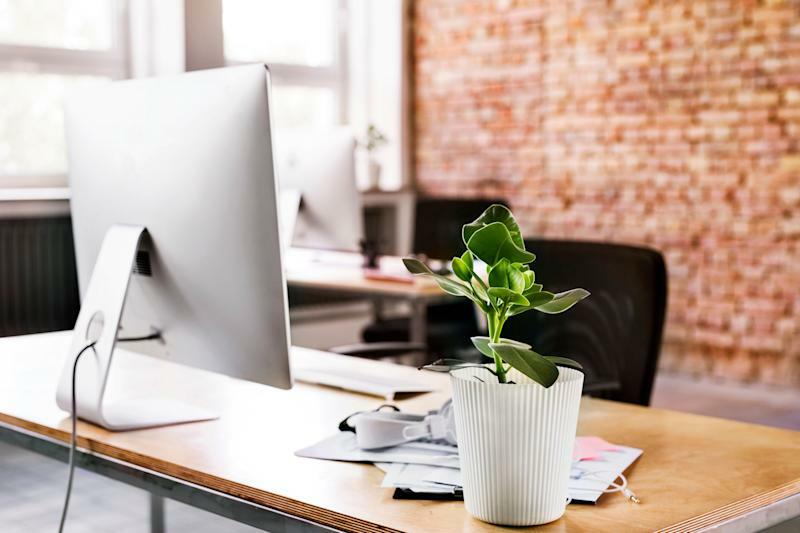 According to a survey by Adecco, 57% of workers admit they judge co-workers by how clean or dirty they keep their workspaces. If you want to tackle the mounds of paper and mess that seem to magically accumulate, Tova Weinstock , a professional organizer known as Tidy Tova, says the key is to keep it simple. She says people should trim the number of personal items they have to a minimum. When it comes to papers, Weinstock says you need to categorize papers and digital files in broad categories and then label them intuitively. She says you need to think, “Where would I look if I needed to find a document?” That way, everything has a place without needing to hyper-organize things or forget where you filed them. You can also take photos of important documents and upload them to you computer. Then, shred the documents as data security is also a concern with cluttered office spaces. Make it a habit: Weinstock recommends taking three minutes at the end of the day to give your desk the once-over: file any stray papers, toss out your trash, and take anything you need to bring home with you. A good way to handle free items like coffee mugs and books is to create a communal space where other people can take the items you don’t want. When it comes to books, stick a note with the date you received it. When three months pass and you haven’t cracked the spine, it’s time to toss or add to the share table. If you do end up throwing something out you need or miss, Weinstock says it’s typically not the end of the world. “People get a scary feeling when throwing something away, but there is typically a solution around it. It might take a few extra steps, but it won’t disappear forever,” she says. Confused about taxes and don’t know where to start? On February 28, we're hosting a LIVE Q&A with tax experts to answer YOUR questions. Email us your questions here .